Have you seen the Okra Man? Home Song Have you seen the Okra Man? Have you seen the Okra Man around New Orleans? 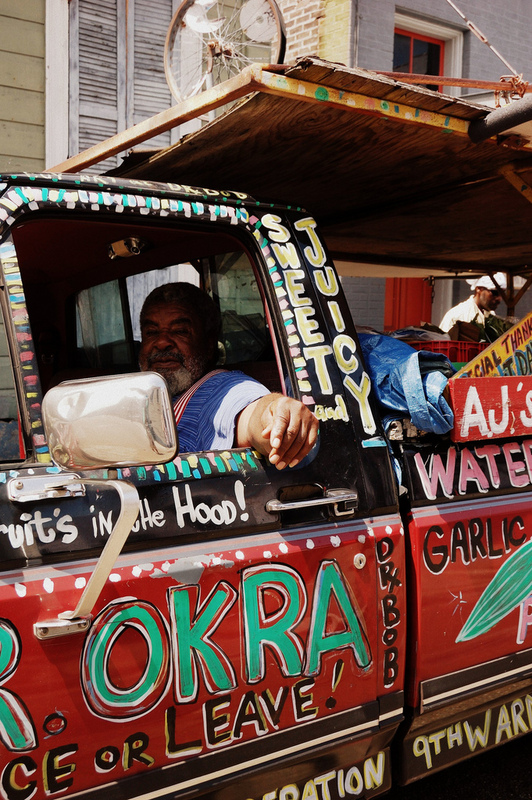 Mr. Okra is a fruit and vegetable vendor who travels the city of New Orleans vending from his truck. His unmistakable call over his P.A. system—“I have cantaloupes! I have tomatoes!”—can be heard from blocks away, and people await him on their front porches so they can buy their fresh produce for the week. Learn all about Mr. Okra in this article by Ian McNulty for New Orleans Magazine. This is a traditional adapted by Katy Hobgood Ray and Arthur Robinson (Mr. Okra). The song was produced by Katy and Matt Aguiluz and recorded at Marigny Recording Studio in New Orleans. Featuring: Scott Albert Johnson, harmonica; Arthur Robinson, vocals; David Rosser, guitar. Kids chorus: Lily Bell, Luna Bell, Elisa McDonald, Charleston McLean, Millie Moffett, Hrilina Ramrakhiani, Sadie Strong, and Virginia Strong. The Confetti Park Players is an all-ages children’s choir in New Orleans, Louisiana. Our home base is in Algiers, on the West Bank of the Mississippi River. Led by songwriter Katy Hobgood Ray, the Confetti Park Players meet weekly to sing, make rhythms, learn traditional New Orleans songs, and practice the craft of songwriting. The songs we sing are a mixture of fun and whimsical originals by contemporary Louisiana songwriters, classic folk songs, nursery rhymes, jump rope jingles, fairy tales, and natural lore. 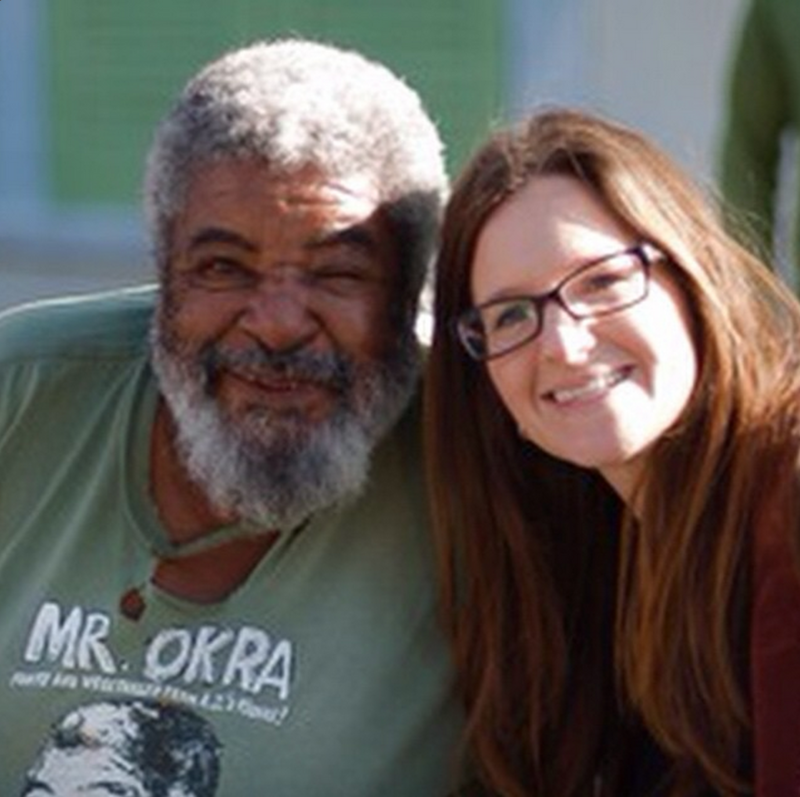 Mr. Okra and Katy Ray.